Effective June 1, 2018, the Pittsburgh Rugby Club and the Pittsburgh (Westmoreland) Highlanders Rugby Football Club will be merging to form a new club, Pittsburgh Forge Rugby Club. This merger will bond Pittsburgh’s oldest and largest rugby club with one of the area’s most successful clubs in recent years to form an all new rugby organization. The Pittsburgh Forge Rugby Club (PFRC) will feature two (2) men’s sides competing at the Midwest Competition Region’s Division II and Division III levels as well as a women’s side that will compete at the Midwest CR’s Division II level. 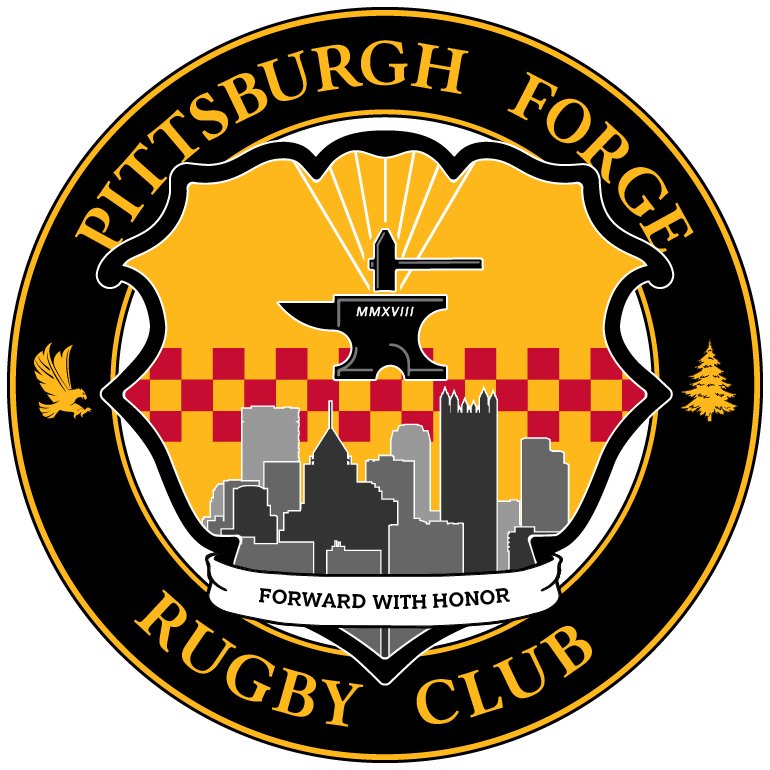 The Pittsburgh Forge Rugby Club (PFRC) consists of three (3) competitive sides; Men’s Division II, Men’s Division III and Women’s Division II all competing in the Midwest Competition Region (MCR). The new club is a product of a merger between the Pittsburgh Rugby Football Club and the Pittsburgh (Westmoreland) Highlanders Rugby Football Club. Previously, the two club’s Men’s and Women’s sides competed for playoffs annually and look to build on that success as the Pittsburgh Forge Rugby Club. Both the men and women’s sides are seeking coaches to lead them beginning in the fall 2018 season. A coach is expected to make a commitment of time, energy, and effort to the development of our club. All of the club’s sides compete competitively in a fall XV’s season. Due to MCR seasonality, the spring season a mixture of friendly test matches, tours, tournaments, select side competition and qualifying matches (if the USAR playoffs are achieved). The club plans on fielding competitive 7’s sides in the summer. PRFC practices twice per week in the evenings and plays an average of 6 league matches per season (per side). Away matches could be as far as 5 hours in some cases. Friendly matches, tournaments, and playoffs have taken us to places like Tennessee, the Carolinas, Florida and Iowa. Head coaches would be expected to lead the team in providing development to all of the club’s players, regardless of level and skill. The head coach would also have the ability to build a volunteer staff for assistance. Furthermore, the head coach of the DII and DIII men must work with both divisions to implement the same game strategy for all players in the club. Explanation of coaching style, strategy, and anything information you deem necessary to share. We will be accepting coaching applications throughout the spring and early summer months. Once all applications have been received and reviewed, we will be in touch to schedule interviews. We thank you in advance for your interest in coaching our club and look forward to learning about what you can bring to our organization. Note: We understand that coaching is a serious commitment and other factors affect your ability to coach. We are ready to supply access to our rugby network within the city if necessary for job placement. Please inform us of what assistance, if anything, you would be looking for from the club.